U-Kiss takes us to Neverland with their second album! The popular group's new title song is a dance tune that combines disco sound and house beats. This time U-Kiss worked with producer Ryan Jhun, who has created hits for Lee Hyo Ri, Super Junior, and TVXQ. 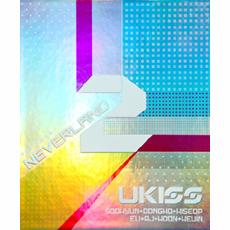 Neverland features 13 tracks including the ballad Someday, which attracted a lot of attention even before the album's release, and a collaboration version of "See You Again" with AJ's previous group Paran.